Permanent change and innovation characterises the machine vision industry. The two most prominent examples are machine learning, which is revolutionising the way image data are analysed, and embedded vision systems, which is changing the processing platforms. 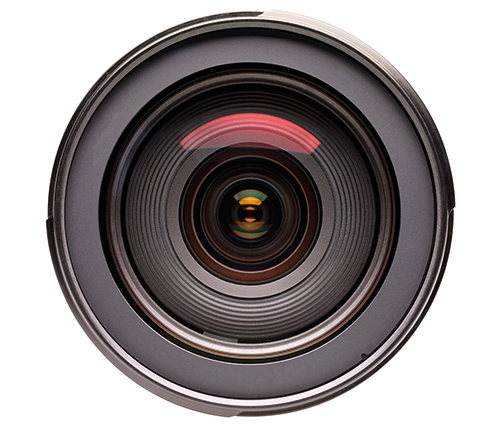 Amazingly, there is one component in an image system that has not yet changed since the early days of the machine vision industry: the lens mount. C-mount with a one-inch thread, 32 threads per inch and a flange focal distance of 17.256mm is the most common type of screw lens mount. It is much older than the machine vision industry. Invented in 1926 by Bell and Howell for 16mm film cameras, it has since been used by analogue CCTV cameras before being finally overtaken by digital cameras. For larger image sensors nothing new has been invented. Instead, lens mounts from SLR cameras such as the Nikon F-mount or the screw mount M42 x 1 are commonly used. This is a really surprising fact. In the constantly changing world of machine vision, the lens mount seems to be something rock solid: after it was invented, it was simply used and never changed. Does this mean that the lens mount works perfectly for machine vision systems? This unfortunately is not the case; 30 years ago it was apparent that the machine vision industry is missing something. In 1987 Canon introduced the Electro-Optical System (EOS) for digital information and power transmission between SLR cameras and lenses, and used it to produce lenses with built-in auto focus motors. Such a standardised system was not available for the machine vision industry, but for some time this deficit did not matter because auto focus systems were quite rare. All kinds of super resolution camera systems. Currently there are, at most, a handful of machine vision cameras available that use a standardised camera lens communication system. These include the XiB cameras from Ximea, with a Canon-EF mount, and the Exo tracer camera from SVS-Vistek, with a micro-four-third mount. An open lens camera communication standard would open up many possibilities within the machine vision community. The communication protocol should be the same for small integrated systems containing a lens, sensor and possibly a processing unit for mobile devices, up to large-format sensors. New precise and stable lens mounts would be required for high-accuracy metrology applications, because bayonet mounts show too much play. A new and open lens camera communication standard would be even more powerful if light sources and camera positioning were included. In this way, systems with automatic or controlled illumination and automatic tracking could also be engineered. It is really surprising to see that such an essential part of a vision system as an open camera lens communication standard has been overlooked for such a long time by the industry. It is now essential to develop it, in order to make the next generation of vision systems possible. 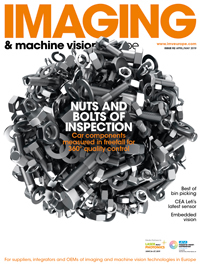 This is why the European Machine Vision Association (EMVA) wants to push such a standard in cooperation with the other G3 associations for the sake of the global machine vision industry and its users.